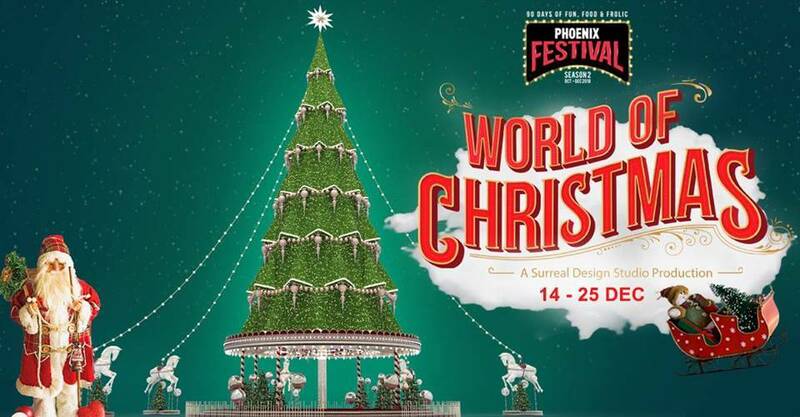 Phoenix Marketcity Bangalore launches “World of Christmas”, unveils tallest Christmas tree of 75 feet in the country. The grand launch had a lot of amazing highlights such as dance performances from school children, unveiling and lighting of the tallest Christmas tree in the country, Christmas Carol performances from International artists, a beautiful musical play called ‘The Grand Cantata’ which was a real wow factor. “ World of Christmas ” a European themed Christmas market has over 1,00,000 unique Christmas products to choose from all over the world which will be on sale so it is a great time to take home some Christmas goodies.Come visit and get lost in the magical world of Christmas! Experience great Christmas atmosphere and enjoy live performances, food and Christmas shopping at Phoenix Marketcity Bangalore! Witness the 75ft tall Christmas tree, the tallest in the country. Ben 10 & Kris from Roll no 21 are coming all the way to Bangalore to make your Christmas all the more exciting. Meet your favourite cartoon characters straight out of TV in ' World of Christmas ' at Phoenix Marketcity Bangalore.